Perfect for your wedding day and beyond, these classic 1950s pearl drop earrings ooze vintage glamour and charm. Heirloom-worthy drops of gorgeousness! 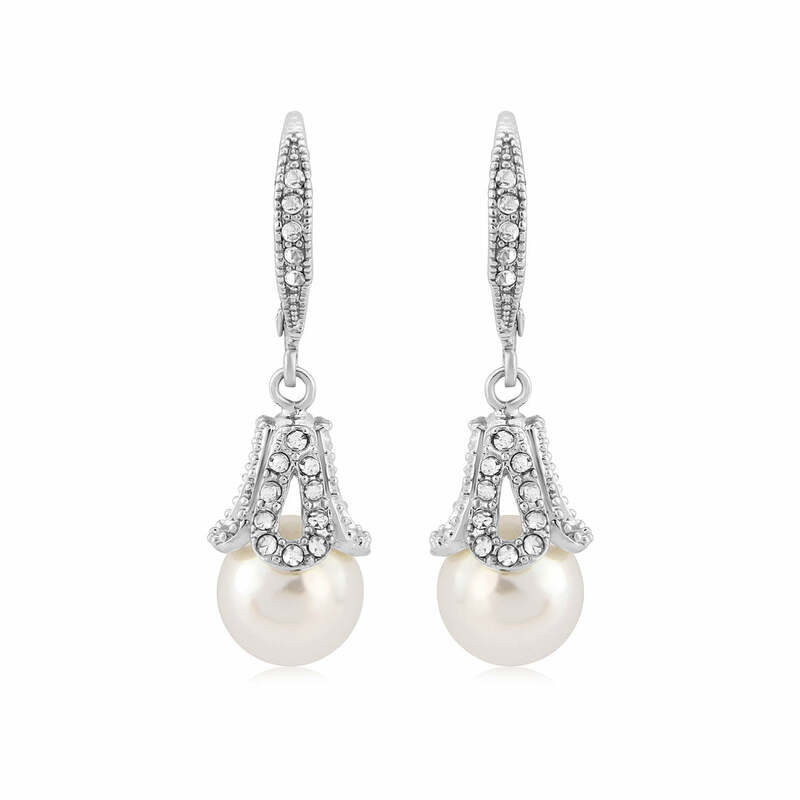 You would be forgiven for presuming our Pearl Belle Earrings were treasures from the 1950s. Featuring a light ivory pearl suspended from a open bell adornment encrusted with clear Austrian crystals at the front for a hint sparkle, this lever back pair adorn with the perfect measure of timeless elegance. The most beautiful vintage style wedding earrings for brides who adore classic jewellery, this ornate pair will complete your aisle style with a hint of understated glamour. Team with a chic pearl bracelet as the ultimate finishing touches to enhance your bridal gown or give these pretties as a gift to your bridesmaids that they will treasure long after your special day. For occasions that call for sophisticated accessories, Pearl Belle Earrings are the essence of versatility. Whether adding a touch of vintage charm to a cute dress or accentuating a sensational evening dress with Old Hollywood style, they are sure to become your go-to pair for every occasion.